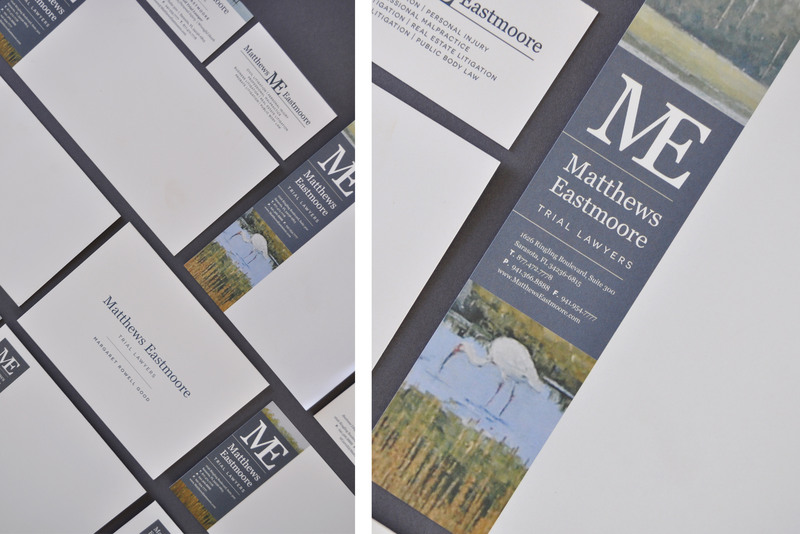 Honored as one of the Best Law Firms in the country by U.S. News and World Report 2014-2016, Matthews Eastmoore has a tradition and reputation steeped in integrity since its inception in 1991. They’ve worked to provide legal services to hundreds of individuals, businesses and government institutions on the state and federal level throughout the state of Florida. 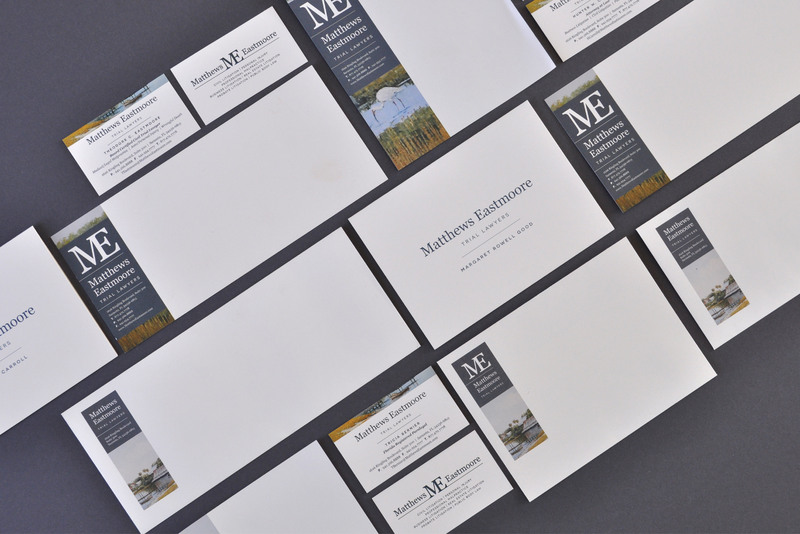 With a brand somewhat in place, they’ve collaborated with Candour to evolve and refresh the brand. We’ve fine-tuned and cleaned it up by choosing a color palette, a family of fonts, refreshing their logo and alternate marks while applying that brand to several touchpoints. As an important part of the firm’s culture, they have a collection of unique artwork hanging throughout their office created by a local Sarasota artist that depicts Old Florida. They’re very proud of the collection and in honor of it, we integrated the collection into their branding and marketing pieces to add pops of color and create visual interest into their brand appeal.